Badge Holder, Badge Clip, Magnetic Clip - An Ching Industry Co., Ltd.
We are the manufacturer specializing in the production of badge holder, badge clip, ID wristband, lanyard, hand slot punch and photo cutter. 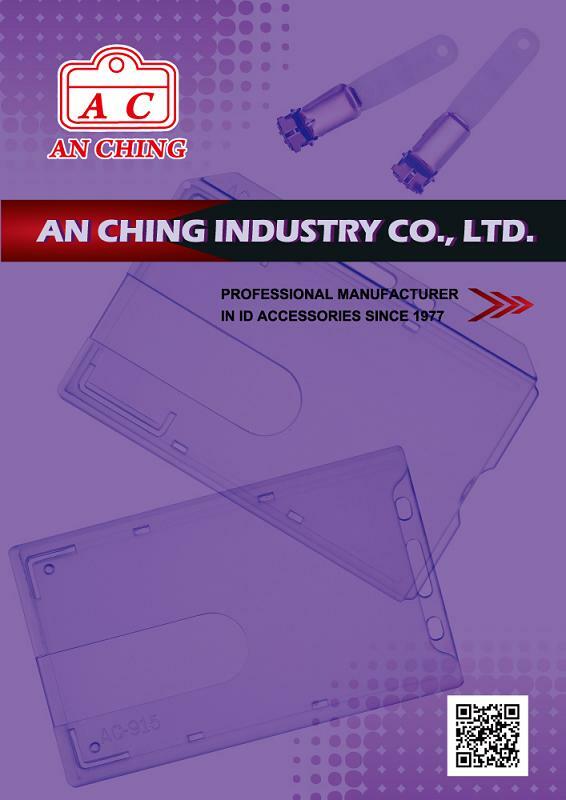 An Ching Industry Co. Ltd was established in 1977, we are core professional specialize in ID accessories and manufacturer for stationery and premium gift products. Our main products includes:Badge Holder, Badge Clip, Retractable Badge Reel, Wristband, Lanyard, PVC ID card, Key Chain and accessories. An Ching have been executed a consistent and strategic flow from production to sales to satisfy your needs. An Ching is professional in the research and development, with our skilful knowledge in Molding Technology, Plastic injection, Press and rigorous quality control in our production, we have won many compliments and trusts from customers. Our factory not only constantly develop new products to meet market demands, we also help our customers to design and develop new products against their prototype. An Ching is focused at all time on Integrity, Accountability, Innovation as our commitment. Our sales network has been developed all around the world, our concept of sustainable operations fulfilling our promise on Quality First, Customer First. An Ching will continue proactively ensuring reliability of production, committed to building mutually profitable, competitive and focused at all times on high-quality product. We sincerely welcome your inquires and look forward to creating business opportunities with you in near future.